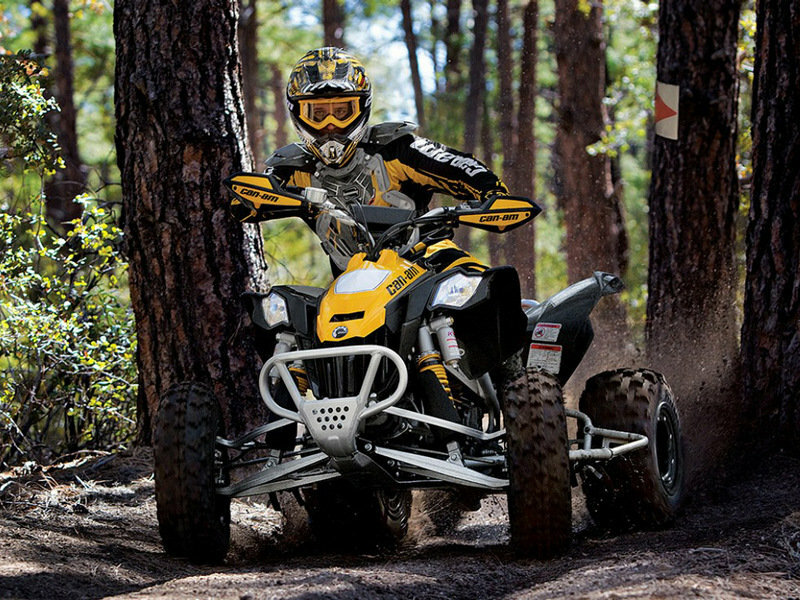 The Can-AM DS 450 X xc is an agile ATV that was especially created to tackle any terrain with poise. The ATV features a short spindle, one-piece aluminum knuckle which is combines with long aluminum upper and lower A-arms. You also get KYB HPG C36 aluminum Piggyback front shocks up front and aluminum KYB HPG C40 Piggyback rear shocks. 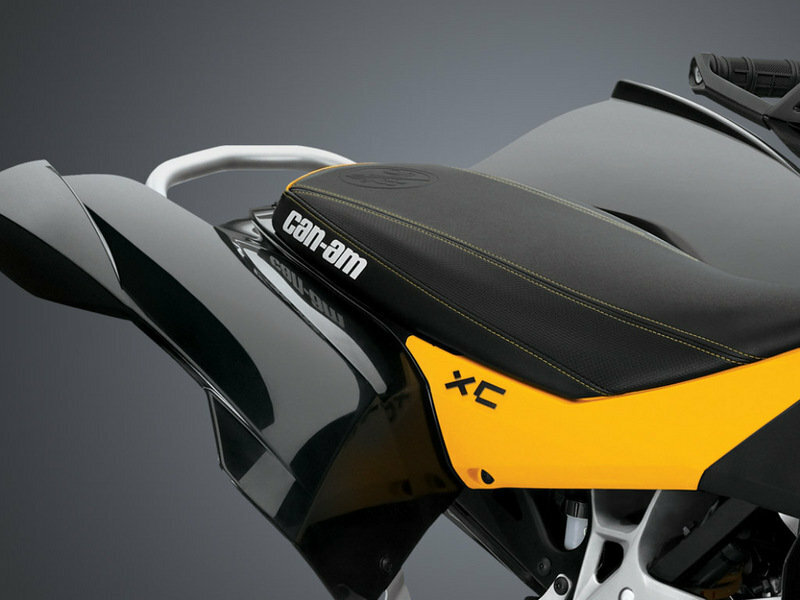 At the heart of the Can-Am DS 450 X xc sits a 449.3 cc, single-cylinder, liquid-cooled, DOHC engine with a displacement of 449.3 cc. 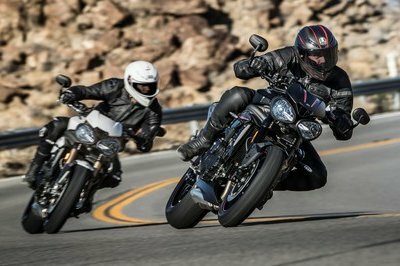 The engine is mated on a competition-ready 5-speed manual transmission with foot-shifter and manual clutch lever. 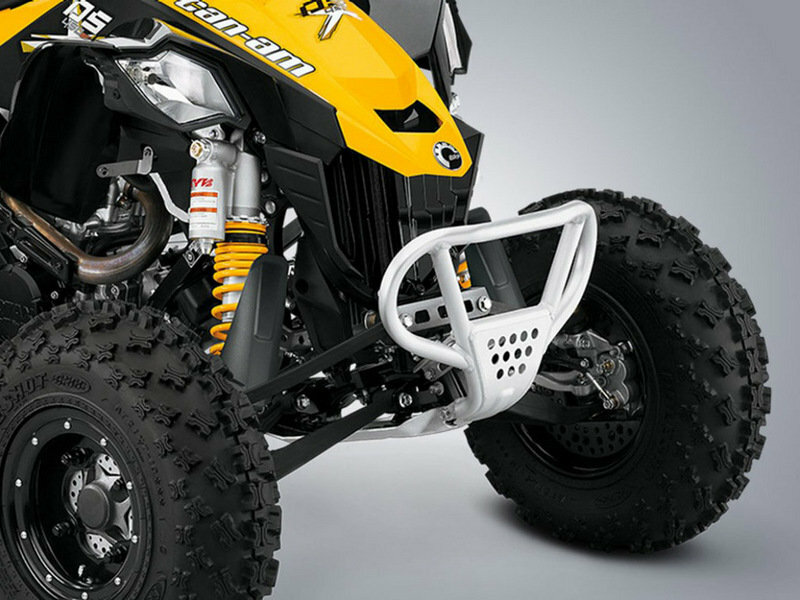 For enhanced protection, the ATV comes with wind deflectors and a square pad. 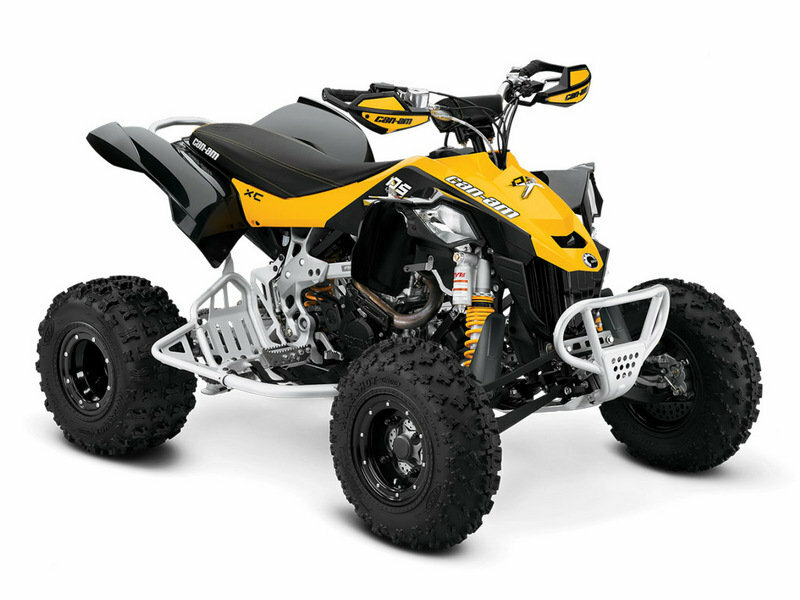 As far as prices are concerned, the Can-AM DS 450 X xc can be yours for no less than $8,999. 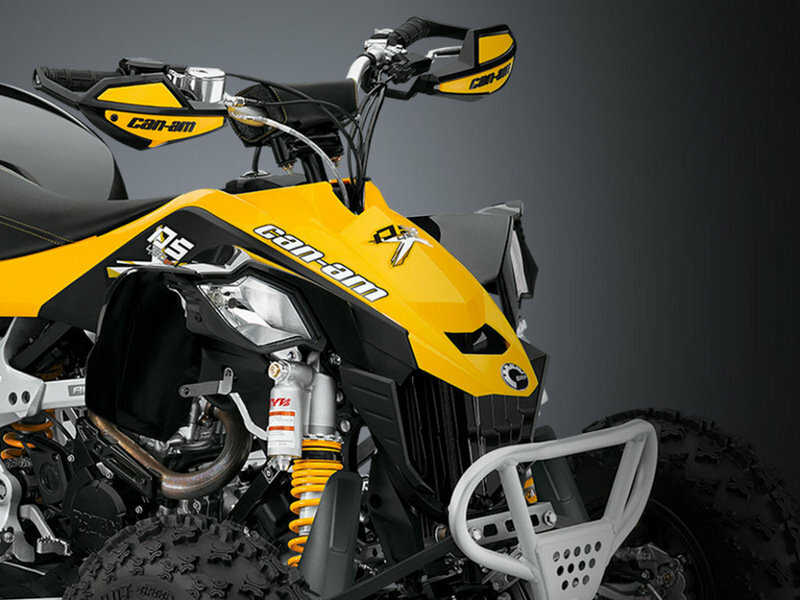 Hit the jump for more information on the Can-Am DS 450 X xc. Tight woods are no match for this nimble and responsive ride. 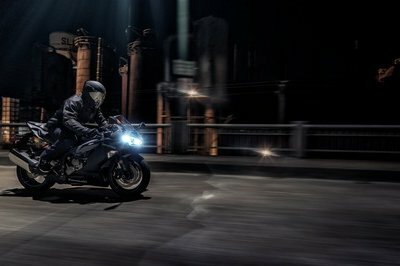 Built to shine in close quarters, you will flash through the trees with unmatched responsive handling. 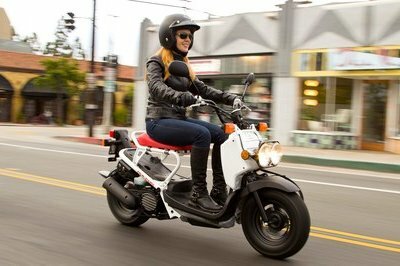 Engineered to race, the reliable Rotax® 4-TEC 450, liquid-cooled, single-cylinder, 4-stroke engine has what it takes to ensure you’re first off the starting line and keep you out in front. 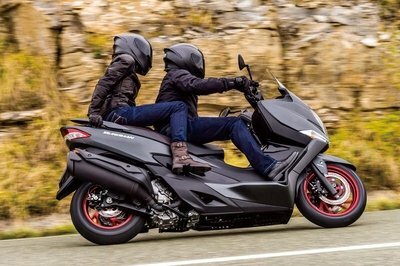 The DS 450 is equipped with a 449 cc 4-stroke EFI Rotax engine, offering the largest bore and the largest intake valves from the DOHC 4-valve head with 97 x 60.8 mm bore and stroke. The EFI uses the largest throttle body and a near-straight intake path. The DS 450 features an innovative, no-weld ALTEC™ aluminum frame and a hearty Rotax® engine for the best power-to-weight ratio of any 450-class sport ATV. Combined with other weight-saving innovations and mass centralization engineering to reduce unsprung weight, it’s unmatched in its class. 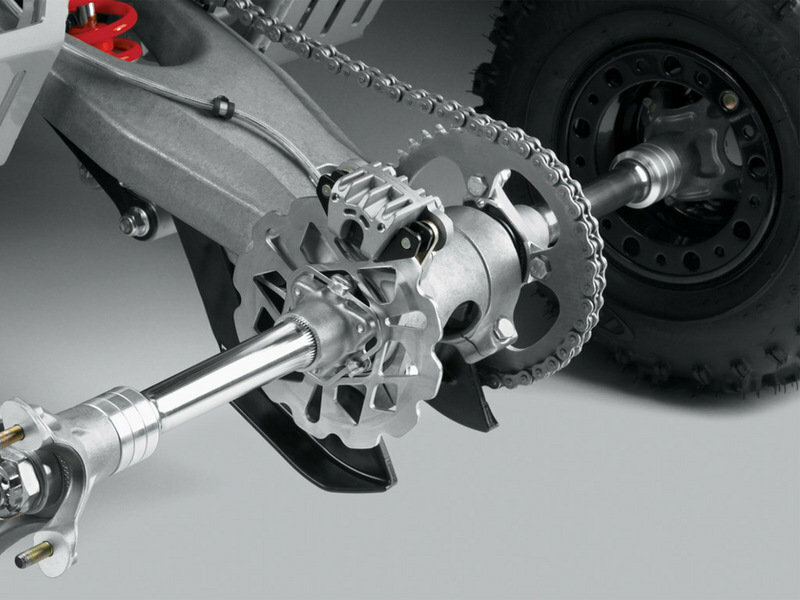 Take control on the track with the adjustable hollow rear axle that reduces unsprung weight and adds to the advantage of mass centralization. A maximum strength, no-weld, all-aluminum frame that uses a twin pyramidal structure. Major components are firmly secured with aluminum fasteners called lock-bolts. The frame is stronger yet much lighter than a traditional ladder frame. Features a Chromoly hollow rear axle, extended-reach aluminum wheel hubs, aluminum sprocket, cast-aluminum swingarm, and 10.5 in of travel, for the lowest possible unsprung weight and the most mass centralization. Features a short spindle, one-piece aluminum knuckle, and the longest aluminum upper and lower A-arms for a 46-in sport ATV. KYB HPG C36 aluminum Piggyback front shocks feature dual-speed compression, rebound and preload adjustments and 9.5-in of travel. Aluminum KYB HPG C40 Piggyback rear shocks feature dual-speed compression, rebound and preload adjustments and 10.5 in of travel. 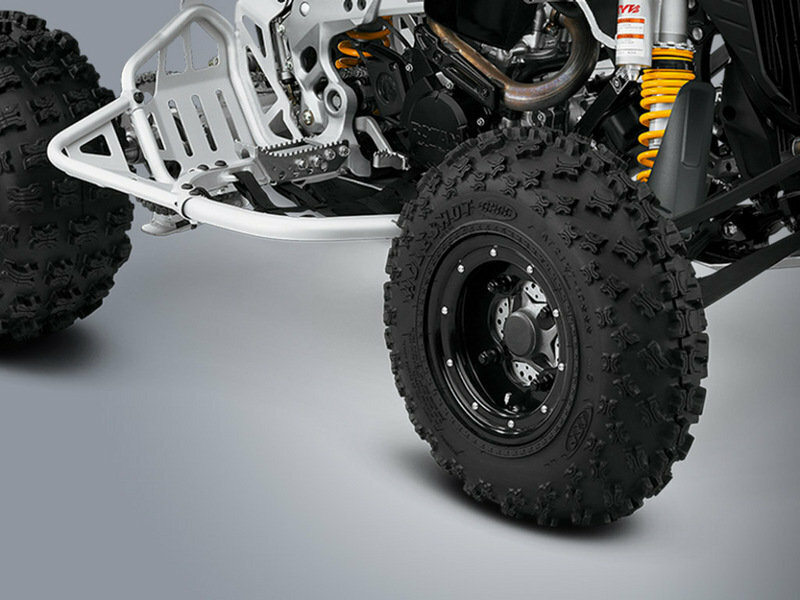 The DS 450 X xc features 21-in ITP Holeshot GNCC front tires mounted on 10-in black, aluminum ITP T-9 wheels with beadlock rings. The taller lugs provide superior traction in demanding race conditions. Loaded with race features including aluminum nerf bars, skid plates, and front bumper, you’re always ready to race. Wide foot pegs with kick ups and integrated heel guards offer riders superb footing and protection. Remove the headlights for racing.